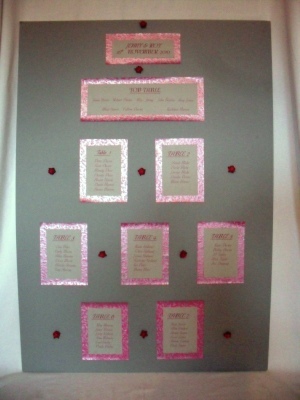 A cerise silver seating plan. Size A1. Includes name of bride and groom, top table with names and 7 guest tables a total of 50 guests. finished with cerise paper roses. This seating plan can be altered and re-priced to suit your needs.